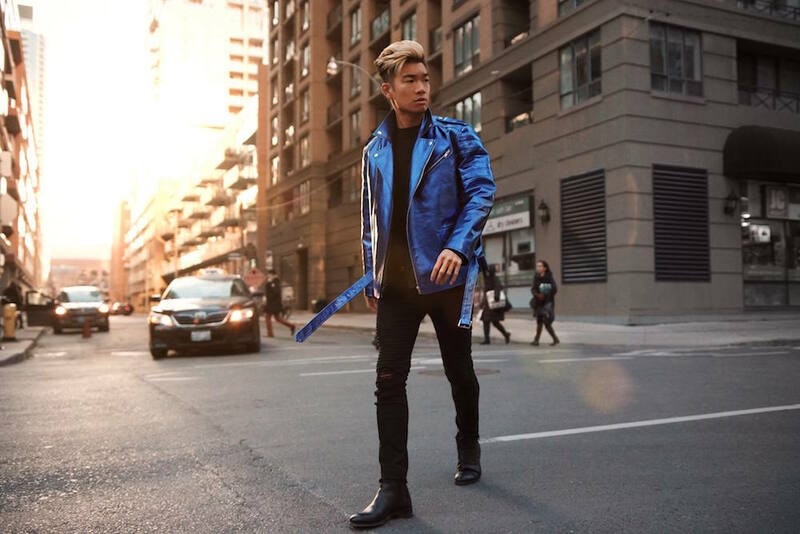 Last week, it was Toronto Men’s Fashion Week, followed by it’s inaugural sister event, TW Toronto Women’s Fashion Week. 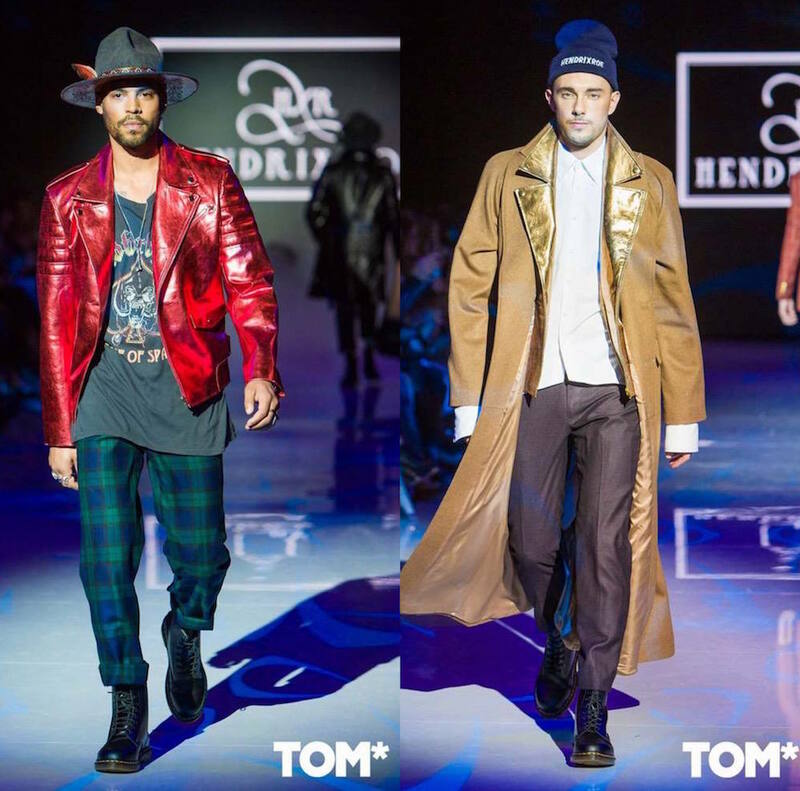 One of my favorite designers to hit the runway during the week of fashion festivities was Hendrixroe. Created by Jordan McKay, Hendrixroe is inspired by Rock’n’Roll and old Hollywood glamour icons, Jimi Hendrix and Marilyn Monroe. Hendrixroe had 2 shows during the week. 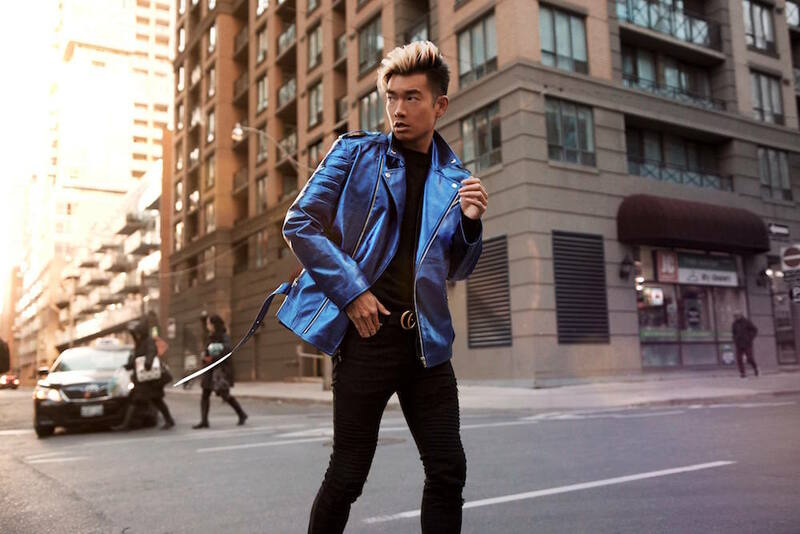 First was the men’s show – hands down the highlight of Toronto Men’s Fashion Week for me and I knew I had to wear one of the metallic biker jackets to the women’s show a few days later. 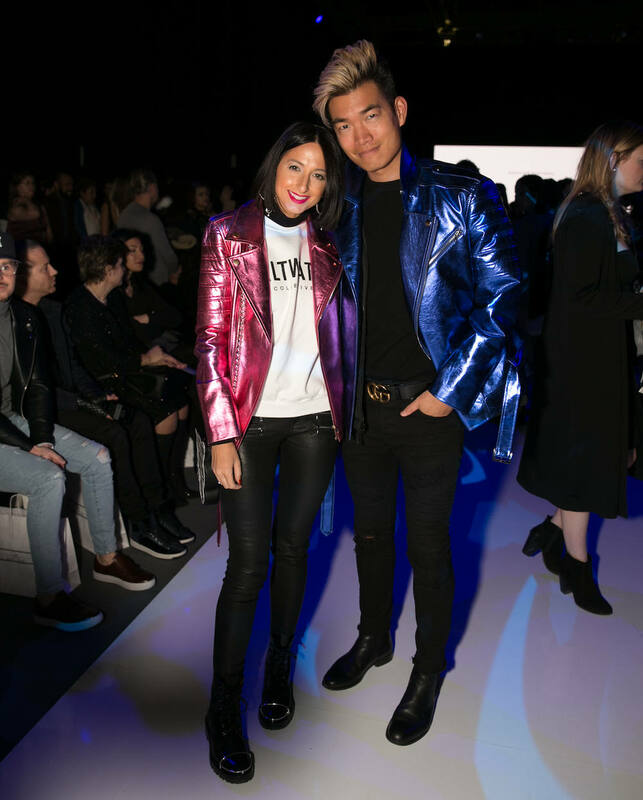 Fortunately, I was able to get my hands on the blue metallic biker jacket and Justine wore a matching metallic pink one! You can see us together at the show below. 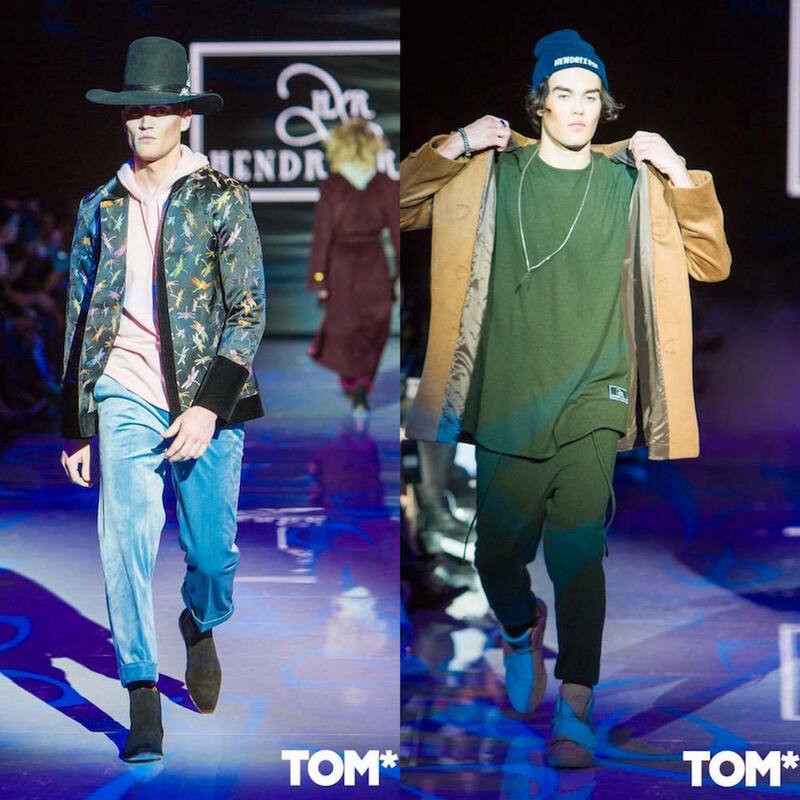 Scroll down to see my favorite looks from the Hendrixroe men’s show as well and let me know which look(s) is your favorite! With jackets like that I can see why this was the highlight of the week! Looks great on you. Oh boy … That jacket suits you so welll!